As all the parents of the little Trolls fans know, all trolls have floral wristbands that light up at hug time. 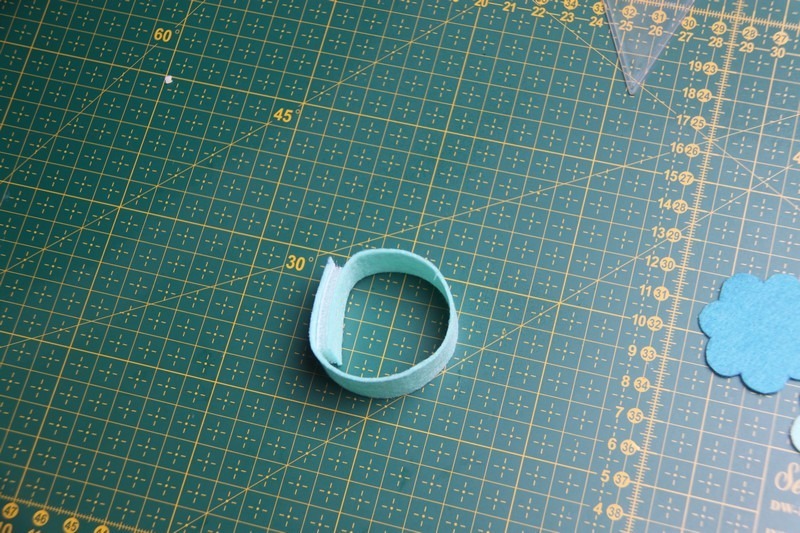 The wristband is a small detail to complete the Princess Poppy costume. 1. 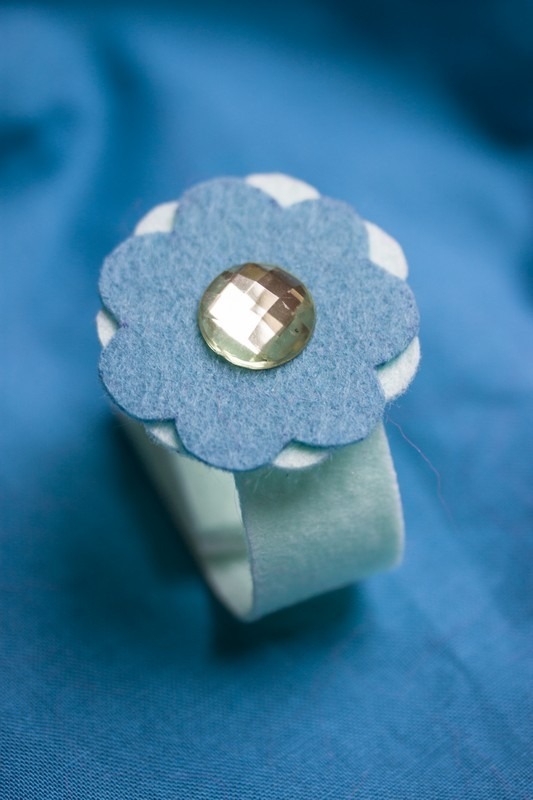 From the mint fleece cut a stripe that has the length of your child’s wrist + 3 cm and is 2 cm wide. 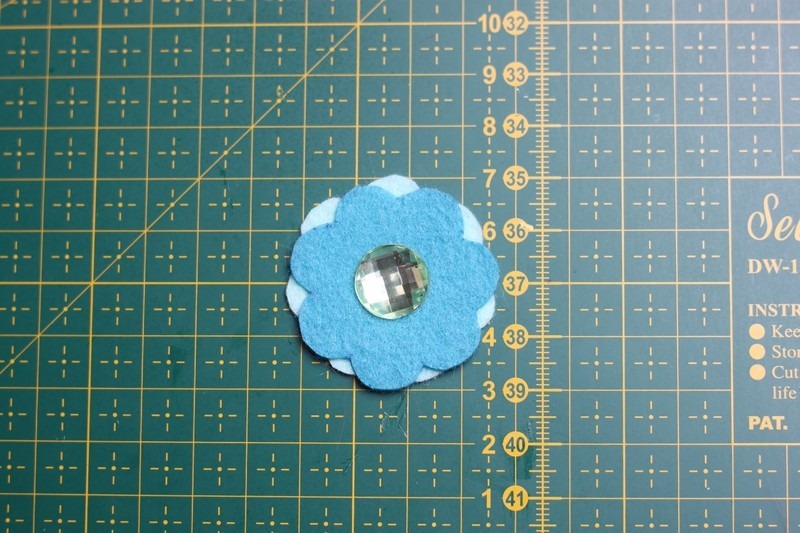 Also cut one flower using the template. 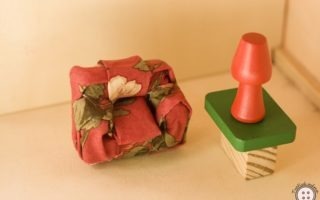 Cut another flower from the blue fleece. 2. 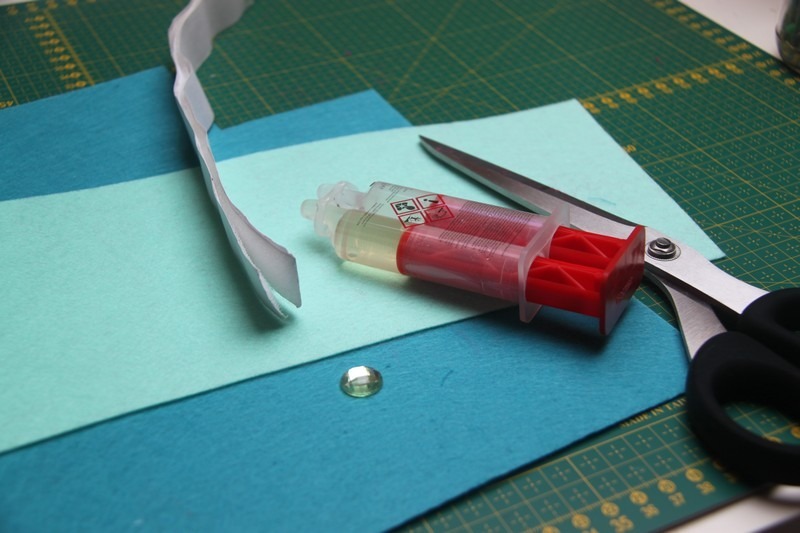 Glue the velcro onto the stripe to create a bracelet. 3. 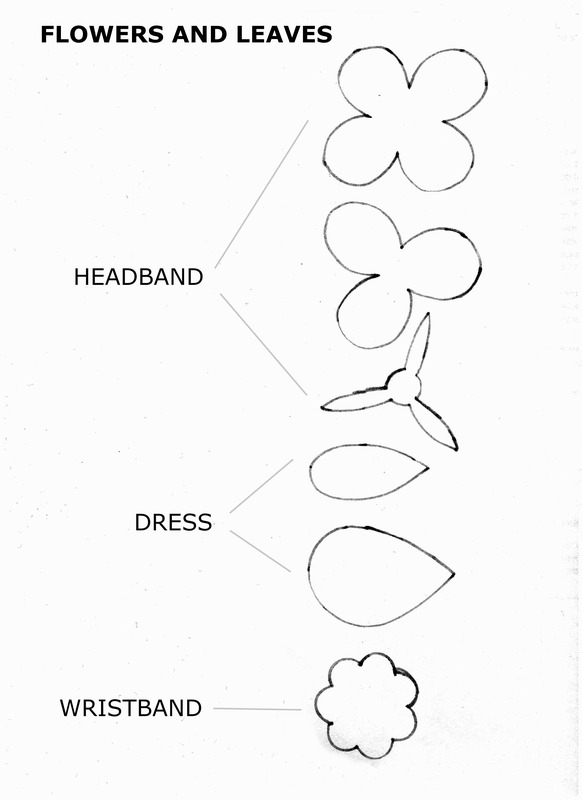 Glue the two flowers together as shown in picture. Glue the cabochon in the center. 4. 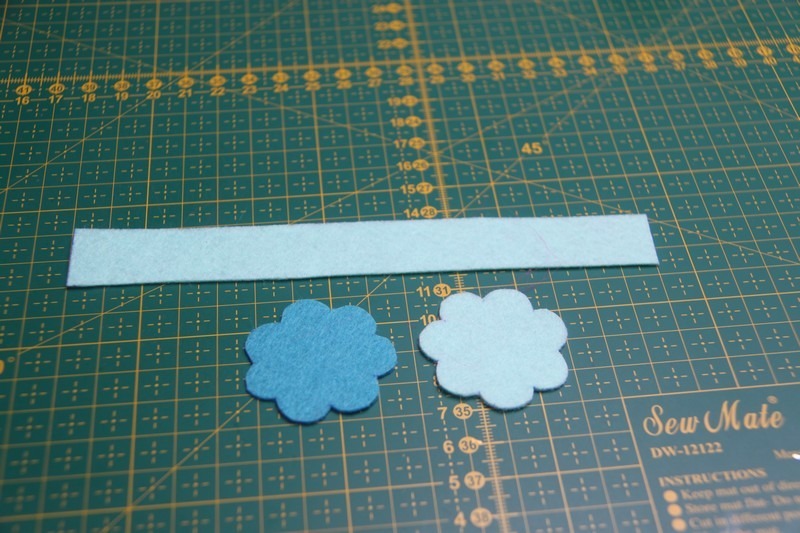 Glue the finished flower to the wristband. 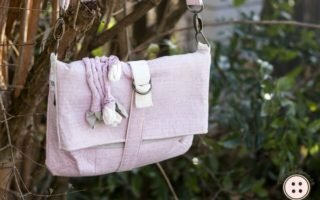 The floral wristband is done, if you haven’t made the rest of the Princess Poppy costume, here is the tutorial for the dress and here is the tutorial for the wig.